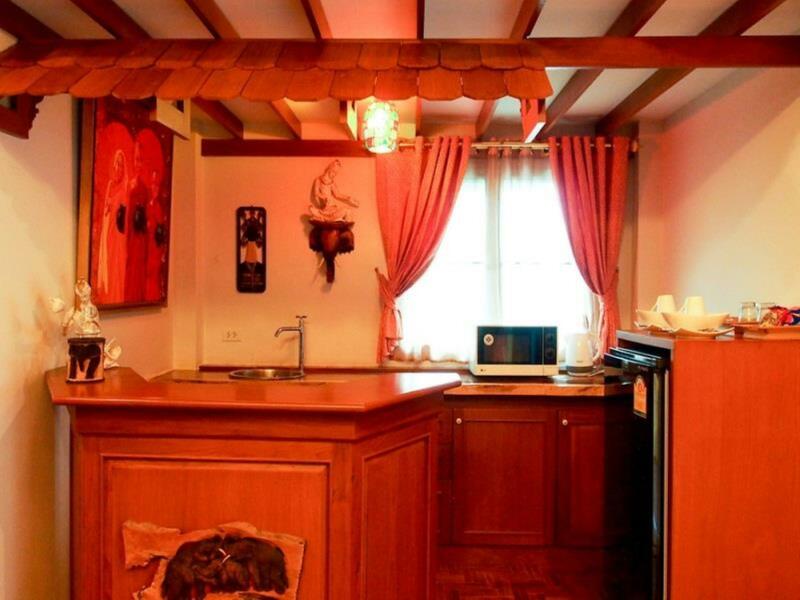 Есть вопрос для Lamduan Boutique Homestay? Lamduan Boutique Homestay, расположенный в Чароенмуенг, Чиангмай, это популярный выбор среди путешественников. Все самые интересные места, расположенные в центре города, находятся всего в 3.0 km. Для осмотра достопримечательностей и интересных мест в округе, не нужно далеко ходить, так как отель находится недалеко от Рудник Peak, Больница Rajavej, Ratchavej Hospital. Lamduan Boutique Homestay предлагает безупречное обслуживание и все необходимые удобства для хорошего отдыха. Лучшие услуги отеля включают бесплатный Wi-Fi в номерах, Wi-Fi на территории, парковка, обслуживание номеров, трансфер. 4 номеров, расположены на 2 этажах, где вы будете чувствовать себя как дома, в теплой и уютной обстановке, с такими современными удобствами, как телевизор с плоским экраном, Wi-Fi, частный бассейн, Wi-Fi (бесплатный), джакузи. Отель предлагает множество уникальных услуг для отдыха и развлечений, включая такие, как гидромассажная ванна, внешний бассейн, массаж, сад. Независимо от цели вашего визита в Чиангмай, Lamduan Boutique Homestay является идеальным местом для отличного отдыха и веселого времяпрепровождения. Пожалуйста, обратите внимание: за смену номера в течение периода проживания взимается дополнительная плата. Пожалуйста, обратите внимание: при смене номера на 2 ночь проживания с гостей взимается дополнительная плата. Для получения подробной информации, пожалуйста, свяжитесь с отелем. Объект предоставляет бесплатный трансфер от аэропорта до отеля в одну сторону для всех бронирований с проживанием более 3 ночей. Объект предлагает трансфер с 08:00 до 19:00. Гости должны указать информацию о номере рейса и времени заезда при бронировании. Me and my girlfriend had a fantastic stay in this cute hotel. 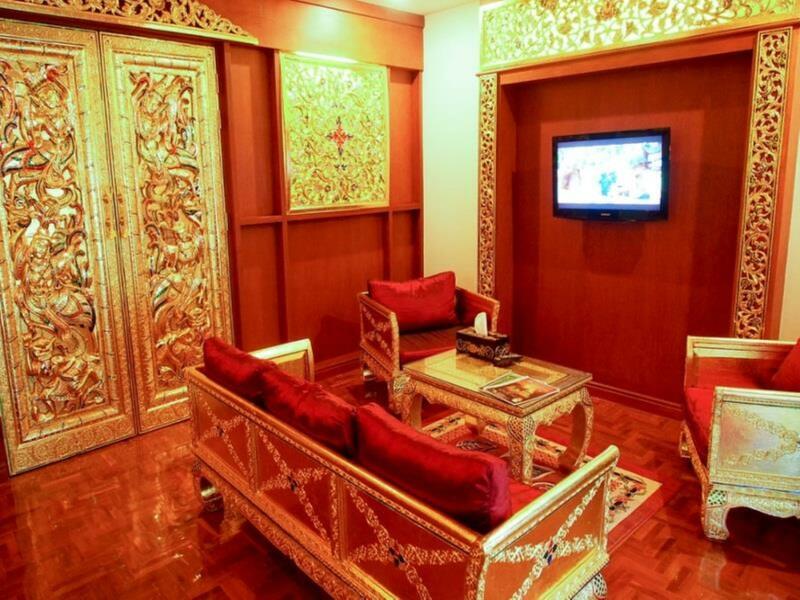 Every room is special, it is decorated and furnished in Burmese, Japanese, Thai, Chinese or Swiss style. We had the burmese room for a week, an the japanese room for 2 nights. The area is very quiet, so it's good for relaxing as there is no noise. We also got the breakfast twice, once thai and once french breakfast (which was cooked by the french hotel owner). It was great and also cheap. For the whole time of the stay we booked a motorbike, so we're able to drive around. It is about 5-10 minutes to go to the center of the city. It was hard to say goodbye to the nice employees and to the cute dog Mee. 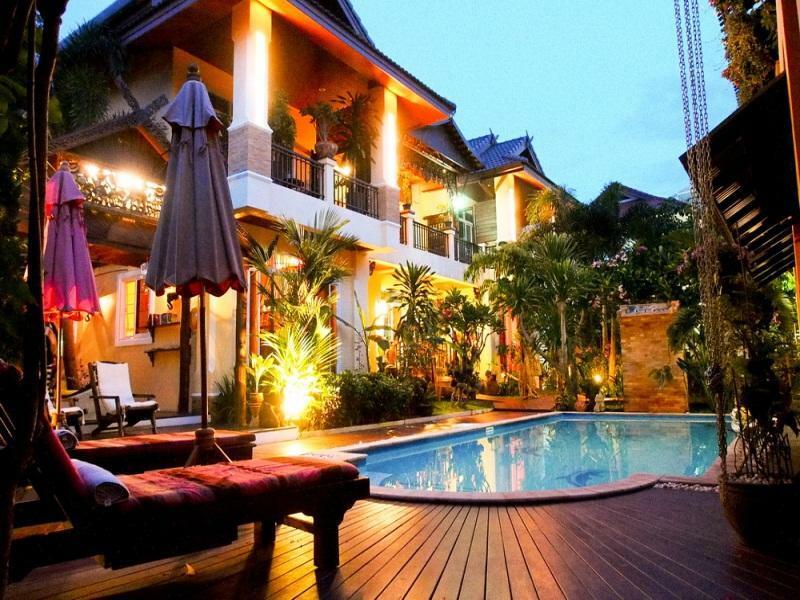 If we're visiting Chiang Mai again i will book for sure again this hotel! We stayed at the Lamduan Boutique Guesthouse (aka Homestay) in Chiang Mai for a week. Biw picked us up at the airport and she deserves a special mention because the customer service she provides is outstanding. The Guesthouse is an absolutely amazing and gorgeous place. The owners, Jacky and Lamduan, seem to have an endless amount of energy to attend to details of beauty. Everywhere one looks, there is something more to admire; in the grounds, in the rooms, the food presentation, their creativity seems to know no bounds. As we had just finished a tour of Myanmar, we were given the Burma room (or 2 rooms, to be exact). Unbelievably golden! Each of the 5 or 6 rooms(suites actually) has a different theme. 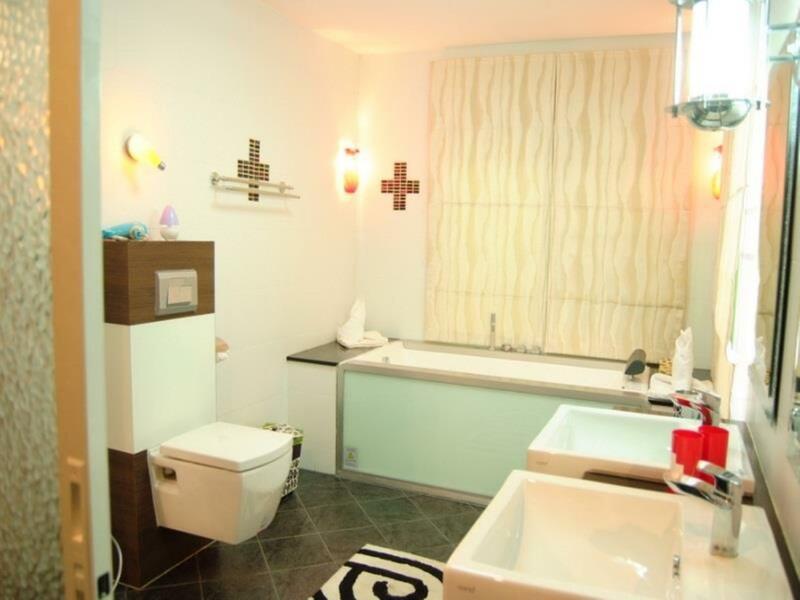 Each suite is well designed and offers a great deal of privacy. The jacuzzi tub was huge! And there is plenty of hot water. The bed was an impressive gold four poster! I found the bed (as well as the living room furniture) hard, but my husband was okay with it. A must see! I stayed at Lamduan Boutique Homestay for a few days and one that included my birthday. The staff here were exceptionally friendly and kind and just wonderful to be around. There was even a cute dog and cat on the property which was so nice so experience!! The hotel was exactly how it is in the pictures if not even better! We stayed in the Thai styled room which was just beautiful! On my birthday the staff gave me a bouquet of flowers during breakfast which was the sweetest thing ever!!! How did they know I absolutely love flowers?! I will FOR SURE stay here again when I am in Chiangmai!!! Thank you thank you thank you for the best experience!! What a great find! We stayed for 3 nights and loved it here! Only con - was a bit tricky to find. Once you're there you will appreciate the location. The staff was warm and friendly and very helpful. (Biw is so sweet and the family dog greets everyone) A true oasis once you walk through the gated doors. We were picked up at the airport and genuinely welcomed. Breakfast is optional but we didn't take it....this time! Will be back for sure and highly recommend Lamduan Boutique Homestay. Thank you once again to Jacky and his wife. Merci beaucoup from Canada! Big surprise when I get into the room. So big and beautiful. There is only public swimming pool. The swimming pool is in front of the room. So great. I will be back as I love the dog very much. I miss him. It is a PR dog. Great value for money; friendly helpful staff; only four rooms to rent so quiet & intimate ~ most times felt like we were the only guests. Perfect for us, we wanted a different experience from the big hotels or resorts but with good clean facilities and some comforts. Lam & her staff go over and above to help in any way and keep you happy. The owners and staff: really took care of us. They let us hitch a ride with them to the flower festival. They really welcomed us. Our Swiss room and the grounds was decorated wonderfully like it was a hidden oasis in the middle of the city. I even left my cell phone charger in the room after checking out and they mailed it to me the next day to my next hotel in Bangkok. Now, that is excellent service! The best guesthouse I've ever stayed!The host and his wife have such great taste!They do run their guesthouse with passion and love.And their little dog Mei，is so cute!maybe one of the thing I am not satisfied is that we only stayed one night here.haha!And thanks so much for the host.He was waiting for us until 9 o'clock to take our luggage to the airport.It's so nice!Maybe see u next summer! Love the place, the dog,and the staff. Will definitely visit again. friendly staff... close to heart. happy staying there... a littke hard to find. but ince you see the room you have no regrets to book and stay there... i will return to stay there next trip. I love the place... I will stay there again if I come back to Chiang Mai. The hotel was absolutely beautiful, the attention to detail was incredible not just to the facilities but to the rooms too. The staff could not be anymore helpful, always on hand for whatever you needed. The only downside was that the location was very rural, was lovely and peaceful however you needed a tuk tuk or taxi to get around anywhere usually costing around 200 bhat. The room furnish was fantastic was huge. The swimming pool was great. It was a quite place with lot of privacy since there are only a few rooms. I suppose to stay there for 2 nights but check out after the first day stay. Due to the summer weather, the one and only Split unit aircon in the bedroom unable to bring down the room temp. With the air condition running plus one standing fan, the room temp can only maintain at 31 degree. We end up open the sliding door to sleep (outside air is cooler than the room which bring down the room temp by another 2 degree). I didn't get a refund for my early check out. The owner need to install a bigger air condition and one more unit for the day room. The owner was very helpful and friendly. And her dogs "mi" was so cute, always welcome us when we come back to the homestay. We miss "mi" so much! The room was large and tidy. 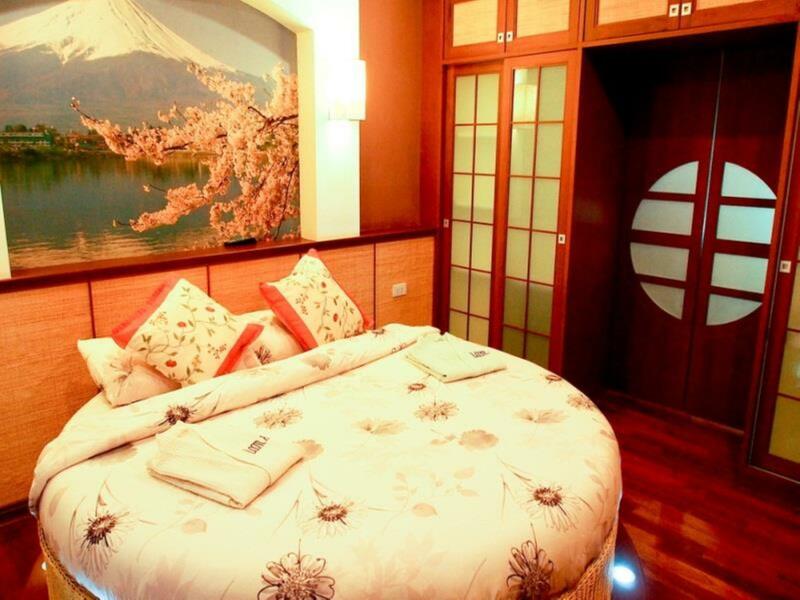 We stay at japanese style room which located at ground floor, can jamp into the swimming pool right after we open the door! The garden and the room was well decorated. The owners Lam, Jacqui and their staff were noting but staler, we have such a great time! There're the sort of people that make traveling all that way great fun! SD. generally good except the location. We spend 15 days in Thailand And Lamduan boutique Homestay in Chiang Mai is our best memories ! Welcome very nice, Jacky and Lam gave us many advices to discover the area, the breakfast are very complet and home-made, to conclude, we were like at home ! Thank you for everything and we hope to come back a next time !